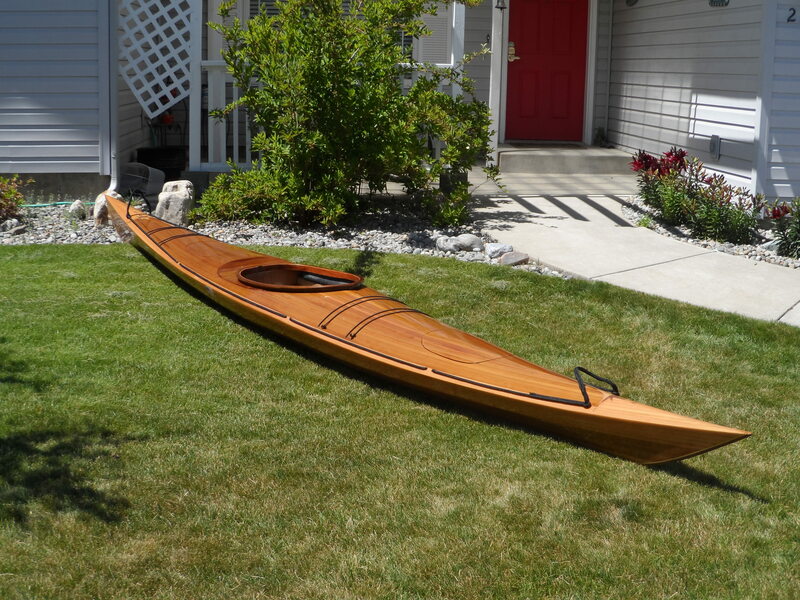 This 16′ cedar kayak has a beam of 22″ and weighs in at 32 lbs. The rollers recess gives the paddler room to lie across the back deck to complete easy rolls and the bungee lines and perimeter lines lie within fiberglass tubes to give the boat a sleek and stunning look. Compass overlays decorate the bow and stern to accentuate the color transition from the chocolate cedar to the red cedar. 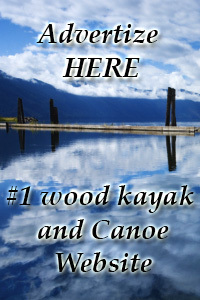 Purchase this boat or have your boat custom-made by the builder, Robert. Each boat is hand-made to perfection for years of service and beauty.